Few things are as heart-wrenching as seeing your child demoralized and disheartened. I still remember the time when my twins were babies ... I used to worry how would I help them when they lose their self-confidence one day. Small kids are like super-heroes before self-doubt creeps into their lives! But one day, reality smashes through the fragile glass dome of childhood uninvited. Self-doubt in youngsters can be dangerous - as it feeds itself. Lack of confidence can paralyze a child and force it to retreat in a virtual shell of safety, by giving up on activities in which it does not feel confident. Every human being can feel untalented in any field. I knew we had to have the right antidote in our home library. And I found the best antidote to 'loss of confidence' in the form of this little bijou. 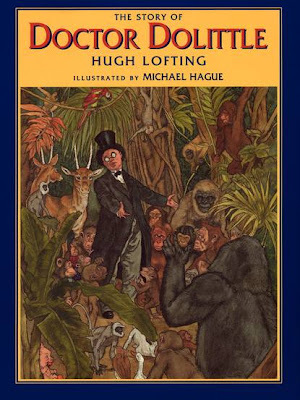 A veritable gem of a picture book. Ish is a story about a boy named Ramon who adores drawing. Just like millions of other kids who show complete enthusiasm for many arts and crafts. Ramon enjoys his work and is hyper-productive. Children are not burdened by what society thinks of their work, about "the artistic quality", about how they compare to their peers. Ramon - simply loved to draw. He would draw all the time, everything and everywhere. Children enjoy drawing, they love sculpting and they adore coloring. Period. They like inventing stories, writing their own tales and singing in or out of tune. Children adore being themselves and expressing themselves. Then one day ... one day ... a different reality encroaches into their world. Ramon was in love with his art. Yet, one day, harsh reality knocked onto his innocent childhood window. As Ramon was painting a vase of flowers, his older brother Leon looked over and ... burst into laughter. He belittled Ramon's work in such a brazen way that Ramon simply picked up the drawing and crumpled it up before throwing it away. Ramon's world came down crashing. What used to be a source of permanent pleasure, became a source of ridicule. Ramon's love of drawing, became a source of shame in a minute. He tried to draw his pictures "correctly" but he never managed to make them look "right". After weeks and months of futile attempts to draw a simple vase of flowers and crumpled pieces of paper, accompanied with deep shame, Ramon lays down his pencil and gives up on drawing. In real life usually this moment usually can be the end of inspiration, the end of someone's love for an art form. But in Peter H. Reynolds's amazing book, an almost divine intervention appears in the form of Ramon's younger sister Marisol. She appears, tells Ramon that she was watching him and at that moment he chases her away with sneering words. Marisol surprises her brother by running away, but only after stealing one of his pictures on a crumpled sheet of paper. Ramon catches up with his sister after a pursuit that ends in Marisol's bedroom. He is rendered speechless by the sight in front and all around him. Marisol's bedroom walls are covered in dozens and dozens of his "failed" attempts at drawing a vase of flowers on crumpled pieces of paper that Ramon discarded. A veritable gallery of his failures was staring Ramon in his face. Yet, was that a gallery of "failures"? That is exactly what the author Peter H. Reynolds wants us to ask ourselves. And he asks us through Marisol. And at that moment Marisol tells her brother which of the horrible drawings is her favorite. Ramon dismisses her opinion as unimportant, explaining that his picture of a vase of flowers does not look like a vase of flowers at all. And Marisol here gives him one of the biggest philosophical insights that we can find in children's picture books today. After giving his crumpled, discarded paintings a second look, a new outlook on art and life is born inside Ramon. He is forced to admit to his sister that they do look "....ish"! This brief exchange with Marisol, changes him from the core. But his time around his hand moves fast. His lines are no longer rigid. Ramon does not expect photographic precision of himself. His lines are light and loose. He fills his art books with love. Ramon finally understands that art is much bigger than mere reproduction. Art is nothing without a personal stamp and an original viewpoint. Not surprisingly, reality crashed uninvited into the lives of my twins, as they grew older. Several months ago my baby boy started telling me how he "couldn't draw" and "doesn't know" how sketch objects. What was saddening to me, was his belief in this - as if it was an absolute and definite truth. And what about my baby girl's absolute certainty that she had no inkling of how to draw a horse? This was coupled with a disappointment in her "poor art skills" and inability to draw. It was not what she said. She knew she did not draw her favorite animals well. Precisely when self-doubt like this creeps in, I always pull out Ish from our home library for an impromptu read-aloud. And it is always an eye-opener. My kids get a new injection of confidence. Ishness is a life philosophy, not only an approach to art. You do not have to be perfect in your attempts to master something. What matters is that you keep trying and viewing things your way, instead of trying to make a perfect copy of something. 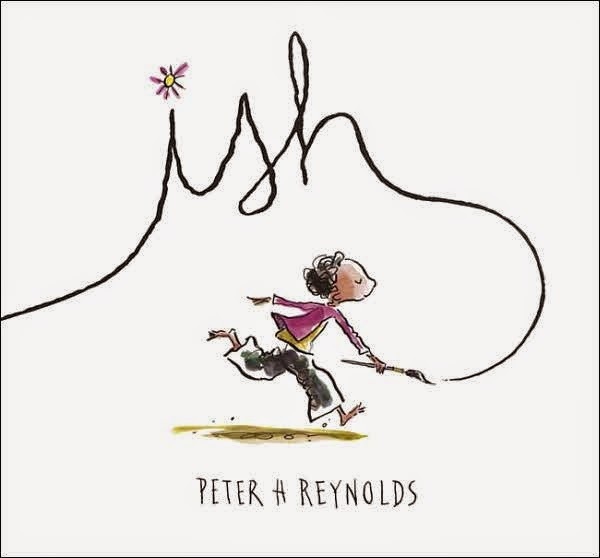 In the words of the author Peter H. Reynolds, Ish is "a tribute to an approach to thinking – and relaxing".. It is a book about art, writing, craft. It is a book about embracing life and your own limitations and talents. Our home library would simply not be complete without Ish.